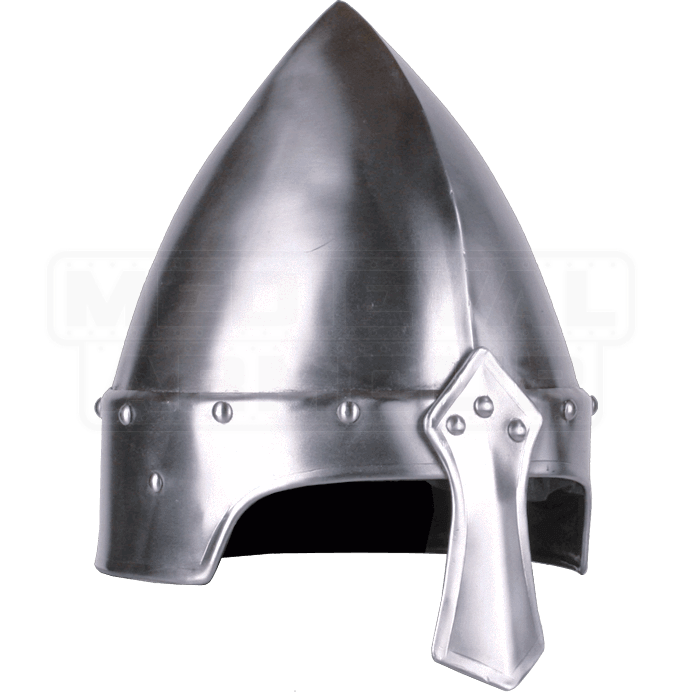 Modeled on the historical helmet style popular among the Norman peoples of Northern Europe during the Middle Ages, the Steel Eindal Norman Helmet features a conical shape as well as a distinctive nose guard riveted to the forehead. Also known as a nasal helm, this steel helmet offers increased protection to the center of the face due to this extended nasal guard. 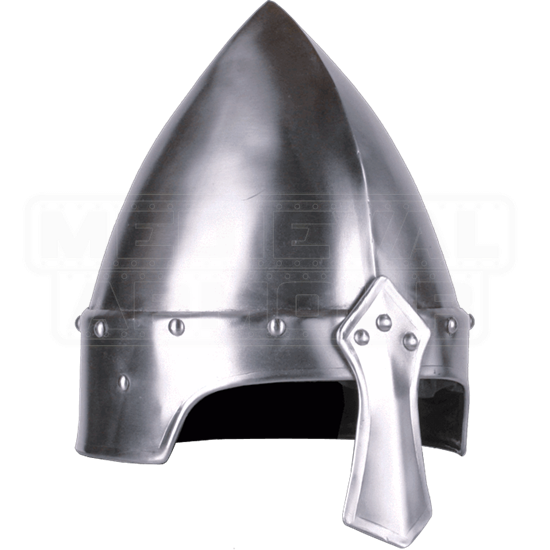 Appearing widely throughout the European continent, this style of medieval helmet is not restricted to Norman characters when you are designing your LARP ensemble. While the nasal helmet began to fade from usage at the end of the 12th century, it still remained popular among archers and other warriors who required a wide field of vision during combat.